Abstract: This talk explores the research challenges in the domain of IoT from multiple angles and reflects on the urgently needed collective efforts from various research communities to collaborate on those. Our approach fundamentally challenges the current understanding of scientific, technological, and political paradigms in tackling the engineering of IoT systems. We discuss technical paradigms and research challenges in the domains of Cloud and Edge Computing as well as the requirements of people in such systems. 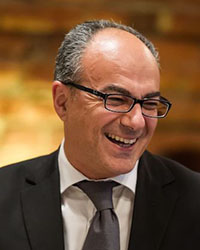 Bio: Schahram Dustdar is Professor of Computer Science heading the Distributed Systems Group at the Technical University of Vienna. From 2004-2010 he was also Honorary Professor of Information Systems at the Department of Computing Science at the University of Groningen (RuG), The Netherlands. From 1999 - 2007 he worked as the co-founder and chief scientist of Caramba Labs Software AG in Vienna (acquired by Engineering NetWorld AG), a venture capital co-funded software company focused on software for collaborative processes in teams. Caramba Labs was nominated for several (international and national) awards: World Technology Award in the category of Software (2001); Top-Startup companies in Austria (Cap Gemini Ernst & Young) (2002); MERCUR Innovationspreis der Wirtschaftskammer (2002). Abstract: A key premise of service oriented computing is about trusting the computing behind the service interface. This often relies on trusting the entities running the services and the algorithms behind the services. These assumptions are being challenged. Trust in institutions is at its historical low while our life is increasingly decided by complex data-driven algorithmic learnings that humans do not fully understand. This talk will discuss the emerging of distributed trust and how it may help improve trust in services and deal with black-box algorithmic decision making. The talk will also discuss the role of consumer data rights (a new legislation Australian government is introducing with Data61 being the standard setter) in driving new trustworthy service oriented applications. 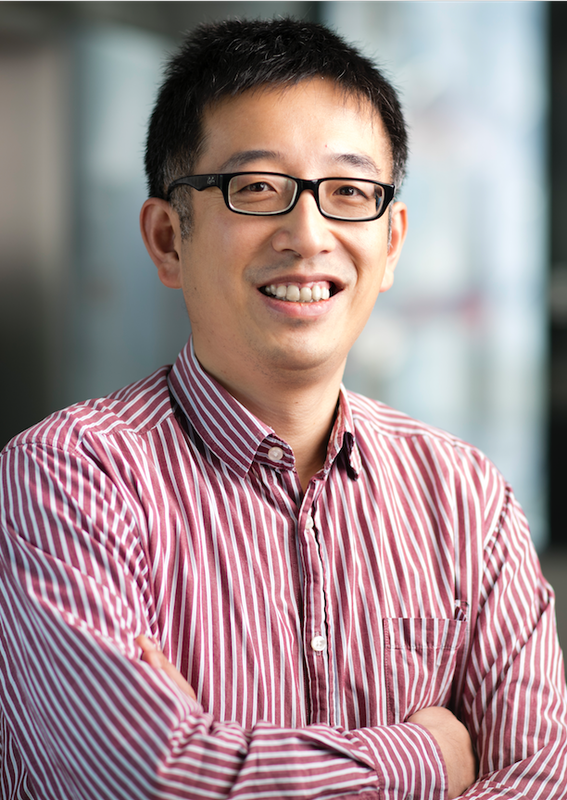 Bio: Dr. Liming Zhu is the Research Director of Software and Computational Systems Research Program at Data61, CSIRO. Data61 is part of The Commonwealth Scientific and Industrial Research Organisation (CSIRO) and Australia's data/ICT innovation hub. The research program has 200+ people innovating in the area of big data infrastructure, computational and simulation sciences platforms (including verticals such as imaging, VR/AR, health), trustworthy systems, distributed systems, legal informatics, blockchains, software ecosystems, software engineering/architecture, DevOps, privacy and cy-bersecurity. He is also a conjoint full professor position at University of New South Wales (UNSW). He is a Graduate of the Australian Institute of Company Directors. He formerly worked in several technology lead positions in software industry before obtaining a PHD degree in software engineering from UNSW. He has been a research lead in several collaborative projects with Australia government agencies, defence, standardisation bodies and commercial companies. For example, he led the B2B reference software architecture effort for Australia's lending industry. He was a committee member of the Standards Australia IT -015 (system and software engineering) group and IT-038 (Cloud Computing) group and contributes to the ISO/SC7/WG42 on architecture related standards. He is currently the chairperson of Standards Australia's blockchain and distributed ledger committee. He has supervised more than a dozen PhD students as their primary supervisor and taught software architecture courses at UNSW and University of Sydney. His personal research interests include software architecture, dependable and secure systems and data analytics infrastructure. He has published more than 150 academic papers on software architecture, dependable and secure systems and data analytics infrastructure. His recent book is DevOps: A Software Architect's Perspective (2015, part of the CMU/SEI Series and published by Addison-Wesley). Abstract: In the context of E-Commerce eco-system, there are hundreds of millions of consumers, thousands of businesses and shops, and hundreds of delivery people. Alibaba Group, as one of the main E-Commerce providers, cooperates with tens of thousands of software vendors to provide all necessary software services to support the business. With the booming of eco-business, more ecological roles in E-Commerce businesses emerge. For instance, Alibaba Group has expanded its business scale from Taobao Software to several business units, with 10000 plus technical staff. Large E-Commerce businesses such as Alibaba Group need to support a large number of applications and business modules, and cater for hundreds of business requirements and independent changes on a daily basis. As such, there are several changes: 1) we lack a requirement management mechanism from a full business chain perspective, resulting in low cooperation efficiency; 2) The business and the platform are not well separated, which makes it unable to support self-development of the business; 3) The business customization is performed from the system’s perspective, instead of the full business chain’s perspective, thus bringing much inconvenience to developers who need to understand hundreds of systems during one round of business customization; 4) there is a lack of cross-market, highly reusable and transplantable business assets. 1) Separation among businesses. Each business is assigned with a unique “identity mark”, which is used for loading and executing the business customization according to its identity, grouping and routing the business sets based on their identities, monitoring and guaranteeing businesses with intended identities. This ensures that the change of a business will not affect another business. 2) Scenario-based business capability SDKs. Based on the E-Commerce eco-system of Alibaba Group, we extract several business capabilities, each of which is mapped with a business customization SDK from the full business chain’s perspective. All developers need to do is to understand and apply these SDKs, which can be automatically deployed into the targeted physical applications. 3) Dynamic business deployment using containers. For large-scale distributed applications, the use of containers is able to realize the rapid, incremental and dynamic deployment and publishing of business customization packages. 4) Clear business definitions. Based on the separation of the management domain and execution domain, we can define and present the visualization of the businesses. Based on the same business execution framework, we can realize the dream of “define once, execute at all places”, and make sure that the business semantics inside the full business chain are consistently understood by all the staff. Based on those design ideas and decisions, we started developing Halo since 2015. Until now, Halo has been successfully applied in upgrading the systems of several core business platforms, including the trading platform, the commodity platform, the marketing platform and the fund platform. Compared to the old mechanism, the use of Halo significantly reduces the threshold required for developing the business customization, and increases development efficiency to a large extent. Meanwhile, with the scenario-based business capability SDKs, it is easier to achieve high reusability of business logics (e.g. pre-sale, e-certificate, virtual commodities, payment on arrival of goods, etc.) in a cross-market and cross-region manner. Bio: Jeff Zeng is a senior staff engineer at Alibaba Group. He is now leading the core trade platform which is the foundation of Alibaba's key business. 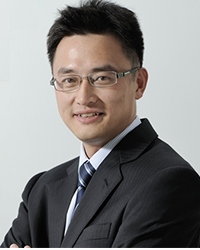 Jeff is also in charge of Alibaba financial platform and business innovation by applying block chain technology. Prior to this, he was a Global development Director of Small and Medium Enterprise at SAP. He has been working on global enterprise product development in the Internet industry for about 10 years. Jeff received his master degree from East China Normal University, and bachelor degree from Shanghai University. © Copyright 2018. All Rights Reserved. ICSOC.